Medium grade OAL Harridge model ball has even toning. 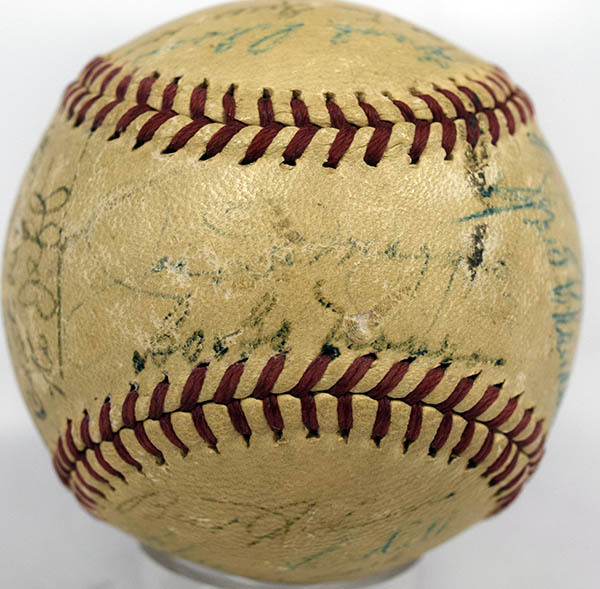 A World Championship team ball, this example has 23 signatures. The autographs vary a bit, some are nicer, just about everything should be readily legible. The keys here are DiMaggio, Berra, Rizzuto, Dressen (very unusual to find on one of these), Page, Henrich, A. Robinson, Spud Chandler and Raschi.